The Java Moss, Taxiphyllum barbieri, is the most common aquatic moss kept in the aquarium. 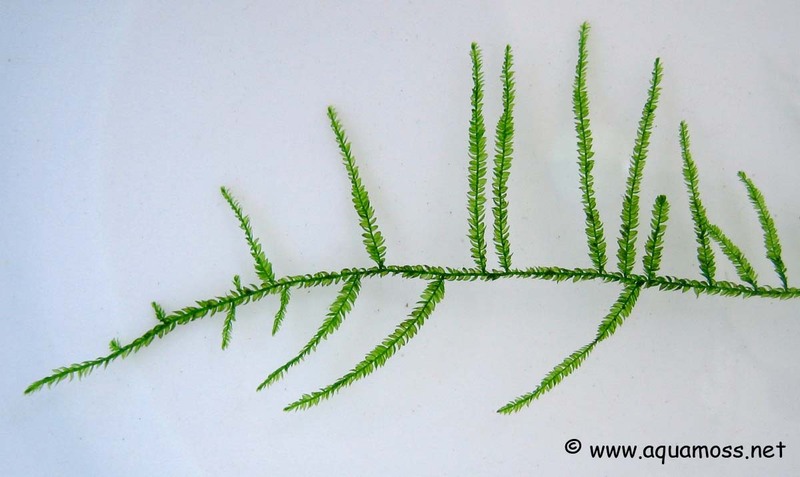 The Java Moss, Taxiphyllum barbieri, is self-attaching, and a very natural aquascape can be created by tying the Java Moss, Taxiphyllum barbieri, onto aquarium objects like stones or driftwoods with thin fishing line or cotton thread. The Java Moss, Taxiphyllum barbieri, will produce rhizoids (root-like structures) and attach the moss to the objects. The rhizoids function as organs of attachment and do not have a role in nutrient absorbtion. 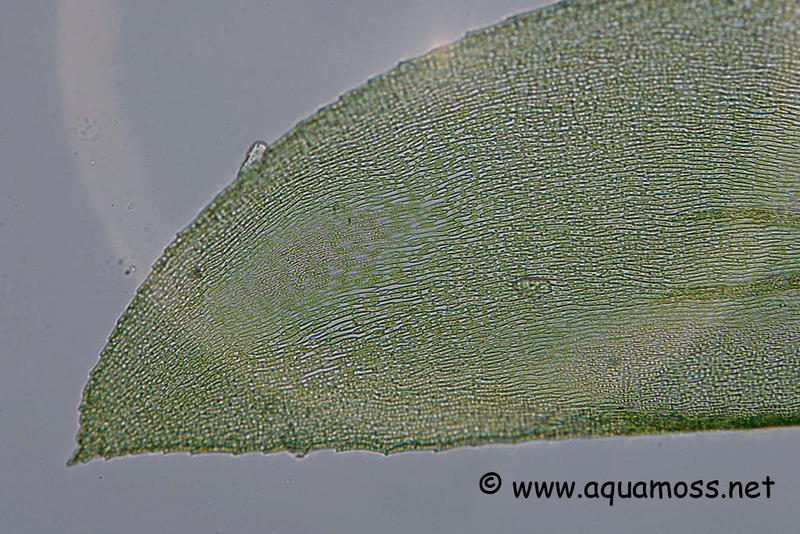 The scientific name of the Java Moss has been mis-identified to be as Vesicularia dubyana for a long time, and all the aquarium literatures have been using the scientific name of Vesicularia dubyana all along. 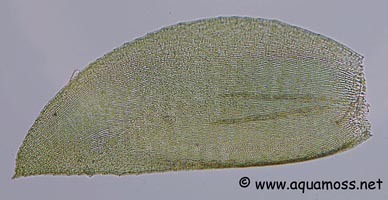 However, the Java Moss actually belongs to the genus Taxiphyllum. 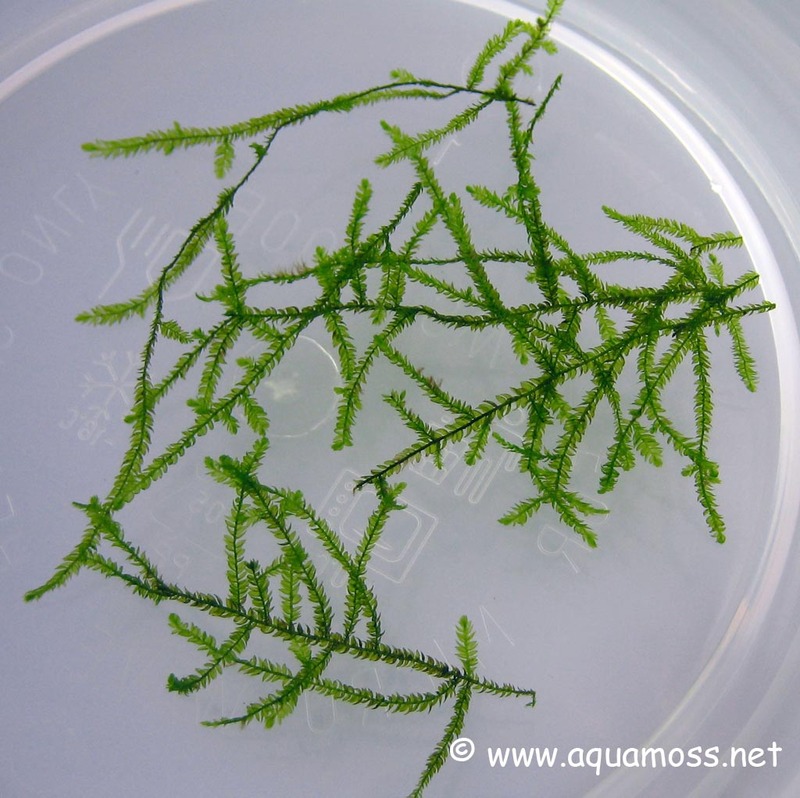 Please refer to the following link for more detail information about the identification of Java Moss. Java Moss - is it Vesicularia dubyana? 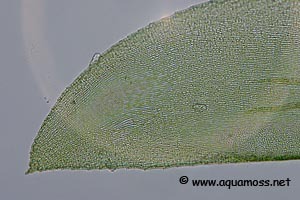 The above pictures are taken under a microscope and you could clearly see the characteristic leaf cells that are narrowly oblong, which indicates that the moss belongs to the genus Taxiphyllum. 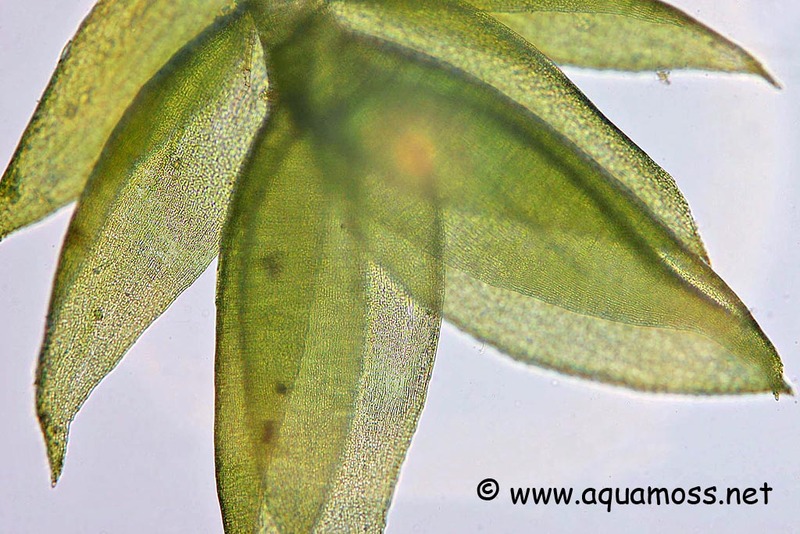 The above pictures are closeup shots of the Java Moss - Taxiphyllum barbieri. 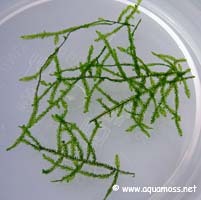 Java Moss, Taxiphyllum barbieri, is widely used by aquarists as a spawning medium. Egg scatterers such as barbs and characins will scatter their eggs onto the Java Moss, and the moss prevents the fish from devouring their eggs as the eggs would have fallen into the moss. It is also the perfect spawning medium for the plant spawners group of killifish, where a clump of Java Moss, Taxiphyllum barbieri, can be introduced into a small tank with the killifish, and the moss can be collected a week later, which will be full of eggs. 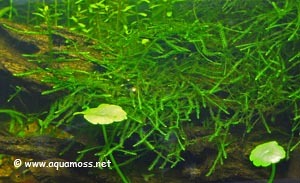 The Java Moss, Taxiphyllum barbieri, can also be the perfect filter medium for fry rearing. 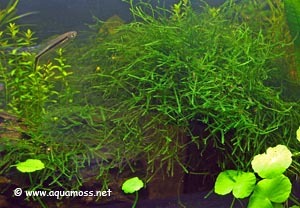 Other than providing micro-organism for the growing fry, the Java Moss, Taxiphyllum barbieri, soaks up all the waste products produced by the fry and the leftover foods. From my years of experience in breeding fish, it has showed that the fry grows faster and healthier when they are reared together with Java Moss, Taxiphyllum barbieri. 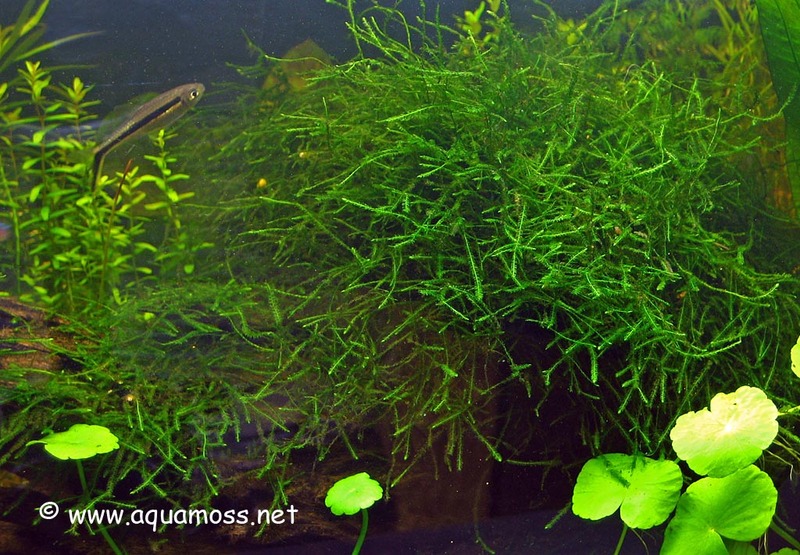 Well, in actual fact, any other aquatic plants would have the same effect, but Java Moss, Taxiphyllum barbieri, is a much more hardy plant, and it can even grow in low light level. You could just dump a clump of the moss into the tank and all your worries will be over.